Property 2: 100 Meters from hiking, cycling and wildlife viewing. Property 4: Charming, cozy cottage duplex, bright and airy, perfect location! Property 6: Luxury 4-BR Home, Pristine Condition, Convenient Location & 5* Service! 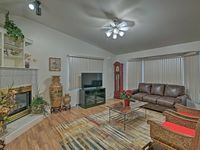 Property 9: Fully Furnished, Central Location, Easy Access To Anchorage's Many Attractions! Property 10: Cozy downtown cottage. Property 12: Family Friendly South Anchorage Home, Centrally Located For Your Ak Adventure. Property 17: Spacious & bright, family friendly Anchorage home! Peaceful, quiet location! Sea Wolf Inn, A litlle bit of Home right here in Alaska. Property 20: Sea Wolf Inn, A litlle bit of Home right here in Alaska. 2000 Sq/Foot 3 Bedroom 2 Bath Water-Front House! Property 21: 2000 Sq/Foot 3 Bedroom 2 Bath Water-Front House! 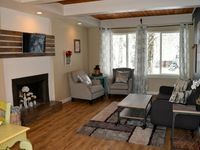 Chugach Foothills Chalet -- a charming, quiet east Anchorage retreat! Property 22: Chugach Foothills Chalet -- a charming, quiet east Anchorage retreat! Mid Town Anchorage. Close to everything. Property 23: Mid Town Anchorage. Close to everything. 3BR home all to yourself! Clean and comfortable, home away from home. Property 26: 3BR home all to yourself! Clean and comfortable, home away from home. Home To Success is located East of Midtown of Anchorage. Property 27: Home To Success is located East of Midtown of Anchorage. Remodeled Anchorage Home w/Yard & Fireplace in DT! Property 44: Remodeled Anchorage Home w/Yard & Fireplace in DT! The Modern Moose, premium home close to airport. Property 45: The Modern Moose, premium home close to airport. I had surgery on Monday and again on Thursday. Very nice to stay and rest up. Completely furnished with all you need to set up housekeeping. Very comfortable. We noticed several issues within a few hours of our arrival on Wednesday: refrigerator leaking water, trash on the floor, hair in the bathroom, moldy food in the microwave, both bathroom toilets running (with one essentially inoperable), and no data left on the WiFi plan. I called the caretaker (Henry) and reported the problems. He was out of town but sent someone to take a look at the toilets and fridge. Henry returned home late on Thursday but did come over to check out the situation. He was very kind and apologetic, and promised to fix the toilet the next day. We did get access to working WiFi by Friday morning, and had two functional bathrooms by that afternoon. Given the circumstances, I asked for and received a partial refund of our rental fee. I was very pleased with the level of responsiveness and kindness shown by Henry, and the willingness of the owner to compensate us for the inconvenience we experienced. We had a great time in Anchorage and loved the location of the house. It was easy to get to the house from the Parks highway, and it&rsquo;s a great location for heading down to Eagle River for hiking, or going shopping, sightseeing, etc. in the city.